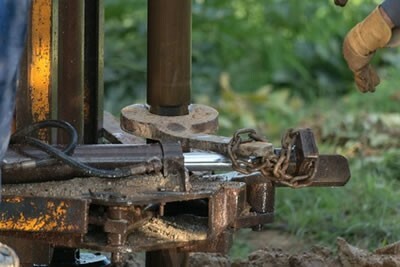 You may think of water wells as a one-time finished project. Once the job is completed the water well will serve us forever, right? As great as this would be, it may not always be the case. Just as with other projects, wells require maintenance and upkeep for them to function properly over time. Ignoring the importance of water well maintenance could potentially lead to problems such as dirty and discolored water, a malfunction in the well’s systems, pressure problems, and a myriad of other issues. Be proactive so you can prevent any potential issues in the future. In this article, we will discuss some of the ways to protect your water well. Lawn care is a huge component in terms of well protection. Using too much fertilizer can contaminate groundwater, and cause damage to the equipment and well water quality if used near the wellhead, especially in the case of shallow wells. Always make sure the activities you do near the well won’t have any negative impact on its function. Always be aware of any new construction in your area. The nature of construction, especially with the underground foundation, can introduce contaminants to your well or even damage its structure. Take note, especially if the construction takes place uphill from your location as wastewater can head downstream into your area. Even additions to your own property require permits because of the potential effect it can have on the water source underneath. Be familiar with the local codes and regulations in your area to make sure there won’t be any problems. Improper waste disposal can cause huge issues anywhere. Even motor oil is a common contaminant in unclean water. Talk to your neighbors and make sure they are properly disposing of their waste, especially if they’re close to your source of drinking water. You don’t want any of that waste anywhere near it. Testing your water is one of the best ways to stay proactive and monitor your water quality. Call up a water well expert if you notice any discoloration or unusual odor in the water or if there’s a change in the performance of the water well equipment. The importance of water quality cannot be overstated. Protecting your water well and your water is essential to the well-being of your family and your property. I Want The Best Water Well Maintenance and Repair Company Servicing Orion Township, MI! 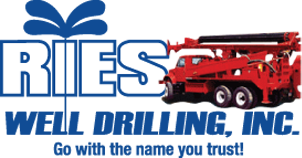 If you are interested in anything water well related, give Ries Well Drilling a call. Whether it’s for the installation of a new water well in Orion Twp., MI or a checkup of an existing one, our experts are always ready to help. We’ll make sure your well is always in good condition. That way, you can enjoy clean, fresh water whenever you want without relying on a utility company. Give us a call today at 586-784-9516.